The Anbar provincial division of the Islamic State (IS) in Iraq published a three-part photo report on the recent suicide bombings and attacks on the Yabani Bridge. The Anbar provincial division of the Islamic State (IS) in Iraq released a video showing scenes from its recent attacks in the town of al-Baghdadi. 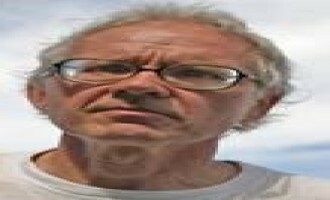 Jihadists promoted the deadly shooting at a free speech seminar in Copenhagen, Denmark, as a lone-wolf attack, and noted prior calls to assassinate Swedish artist Lars Vilks, who was in attendance. The Islamic State (IS) claimed successful operations in Iraq’s Ninawa province despite U.S. airstrikes on its positions, and announced that its fighters are deterring the “American Air Force-backed Kurdish-Crusader alliance”. Jihadists discussed ideas for campaigns to incite Muslims against the U.S. and allied countries for launching airstrikes against positions of the Islamic State (IS) in northern Iraq, and also suggested sending thousands of “Mohammed Merahs” to hit enemy interests. 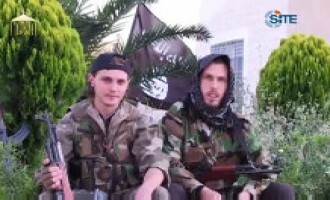 Jihadists launched a pro-Islamic State (IS) English magazine called "The Truth and the Best Explanation," and in the first issue, drew lessons from the jihad in Bosnia, and gave a eulogy for a Serbian IS fighter. An essay circulating on forums and social media accounts that support the al-Nusra Front, al-Qaeda’s branch in Syria, castigated the Islamic State for declaring a Caliphate and urged al-Qaeda branches to avoid reconciling with the group. 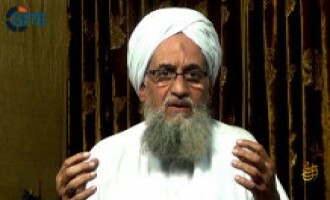 Al-Qaeda leader Ayman al-Zawahiri released an audio speech detailing the relationship between his group and the Islamic State in Iraq and the Levant (ISIL) and its predecessor, including references to correspondence between officials recovered by the U.S. at Usama bin Laden's compound in Abbottabad, Pakistan. 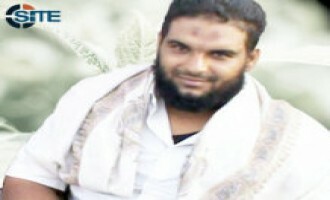 Al-Qaeda in the Arabian Peninsula (AQAP) published a biography of Abdullah Abu Bakr Bawazir (AKA Abu Khalid), a fighter who escaped from al-Mukalla prison in Yemen in June 2011 and had fought under the Islamic State in Iraq (ISI). 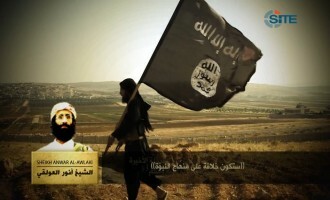 The al-Qaeda-affiliated Islamic State in Iraq and the Levant (ISIL) released the second episode in its English-language video series "The Establishment of the Islamic State, Part 2," featuring a clip from a previously-released speech by Usama bin Laden promoting the group's predecessor, the Islamic State of Iraq (ISI). 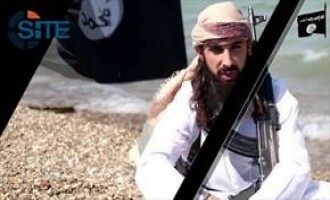 The al-Qaeda-affiliated Islamic State in Iraq and the Levant (ISIL) released a video featuring a posthumous speech by Anwar al-Awlaki promoting the group's predecessor, the Islamic State of Iraq (ISI). 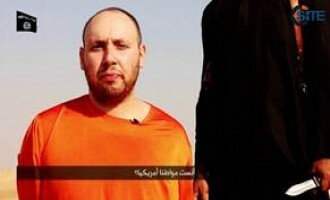 Ansar al-Islam's leadership for Mosul district of Iraq accused the Islamic State in Iraq and the Levant (ISIL), the al-Qaeda-affiliate formerly known as the Islamic State of Iraq (ISI), of forcing some of its fighters to make false confessions in a video in order to justify its targeting of the group. The al-Qaeda-affiliated Islamic State in Iraq and the Levant (ISIL) released a video showing efforts by its fighters to win the hearts and minds of the people, in their holding a preaching event in the Syrian governorate of Aleppo on July 10, 2013. Jihadists distributed on forums and social networking sites a biography attributed to Abu Bakr al-Baghdadi, the leader of the al-Qaeda-affiliated Islamic State in Iraq and the Levant (ISIL). A Kazakh fighter called upon his fellow countrymen to participate in jihad in Syria in a video released by the al-Qaeda-affiliate formerly known as the Islamic State of Iraq (ISI), the Islamic State in Iraq and the Levant (ISIL). The Islamic State in Iraq and the Levant (ISIL) denied that its fighters had a role in suppressing a civilian protest at the Bustan al-Qasr checkpoint in Syria's Aleppo governorate on July 11, 2013, and released seventeen pictures of its fighters and what appears to be a parade in Jarabulus. The al-Qaeda-affiliate formerly known as the Islamic State of Iraq (ISI), the Islamic State in Iraq and the Levant (ISIL), released a video of a cleric's sermon at a training camp about religious dedication and shunning self-interest. The al-Qaeda-affiliate formerly known as the Islamic State of Iraq (ISI), the Islamic State in Iraq and the Levant (ISIL), released a video of a French fighter calling upon French Muslims to participate in jihad in Syria. A communiqué attributed to the Islamic State in Iraq and the Levant (ISIL) claimed responsibility for a suicide raid on July 1, 2013, in the town of al-Saboura in Syria's Hama governorate. Ansar al-Islam appealed to Islamic scholars for help in its alleged bloody conflict with the al-Qaeda-affiliated Islamic State of Iraq (ISI) after failing to receive a response from Ayman al-Zawahiri. Ansar al-Islam Thanks Supporters for Advice During Recent "Ordeal"
Ansar al-Islam thanked scholars, groups and jihadi writers who gave it advice and support during an "ordeal" it experienced in the recent months, possible referring to its issues with the al-Qaeda-affiliated Islamic State of Iraq (ISI). Administrators of the top-tier jihadist network Shumukh al-Islam confirmed the conflict happening between al-Qaeda-affiliates the Islamic State in Iraq and the Levant (ISIL) and the al-Nusra Front (NF), and asked supporters to be neutral. 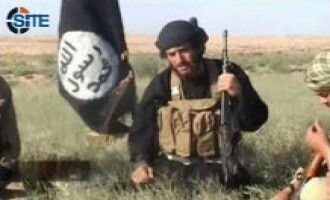 An audio message attributed to Abu Muhammad al-'Adnani al-Shami, the official spokesman of what is now the Islamic State in Iraq and the Levant (ISIL), criticized the letter from al-Qaeda leader Ayman al-Zawahiri settling the dispute between it and the al-Nusra Front, and explained its faults. An audio attributed to Abu Muhammad al-'Adnani, the official spokesman of the al-Qaeda-affiliated Islamic State of Iraq (ISI), called upon Sunni Muslims in Iraq to turn anti-government demonstrations into violent protests and declare war on Shi'ites. 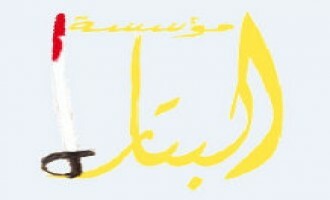 An audio speech attributed to Abu Bakr al-Baghdadi, the leader of the al-Qaeda-affiliated Islamic State of Iraq (ISI), surfaced on social networking websites on June 14, 2013, where he took issue with the letter from Ayman al-Zawahiri resolving the ISI’s dispute with the al-Nusra Front and cancelling the “Islamic State in Iraq and the Levant”. Al-I'tissam Media Foundation, a media unit of the al-Qaeda-affiliated Islamic State of Iraq (ISI), released a video showing bombings and raids against Iraqi security forces throughout Iraq. 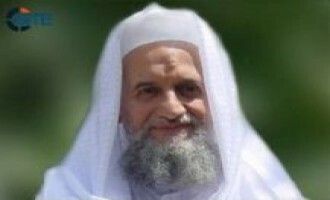 Al-Qaeda leader Ayman al-Zawahiri reportedly sent a letter to the respective leaders of the Islamic State of Iraq (ISI) and the al-Nusra Front resolving the dispute between them and naming a representative in Syria, Abu Khalid al-Suri, to arbitrate any issues. Ansar al-Islam's leadership for Mosul district of Iraq denied reports that it declared war on the al-Qaeda-affiliated Islamic State of Iraq (ISI) and targeted its fighters, but acknowledged issues between the groups. An alleged fighter in Syria urged the leaders of the al-Nusra Front and the al-Qaeda-affiliated Islamic State of Iraq (ISI) to settle their differences in order to benefit the jihad in the region and reverse its dangerous course. 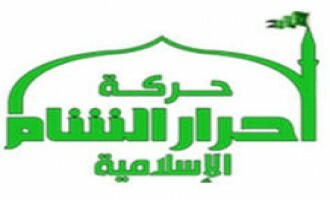 The Ahrar al-Sham Islamic Movement (ASIM), a Syrian jihadist group, criticized the announcement of the "Islamic State in Iraq and the Levant" by Islamic State of Iraq (ISI) leader Abu Bakr al-Baghdadi, and the pledge of allegiance to Ayman al-Zawahiri by al-Nusra Front leader Abu Muhammad al-Julani. An alleged fighter in the al-Qaeda-affiliated Islamic State of Iraq (ISI) asked for rulings concerning individual acts of jihad in the absence of a leader, and whether he can distribute explosives manuals on jihadist forums, knowing that Shi'ites can also access them. A prominent jihadist alleged that the leadership of the al-Qaeda-affiliated Islamic State of Iraq (ISI) has been infiltrated by enemy intelligence, citing the group's Shariah and organizational "perversions" after the deaths of Abu Omar al-Baghdadi and Abu Hamza al-Muhajir in April 2010. The Shumukh al-Islam Network released "exclusive" pictures from the al-Qaeda-affiliated Islamic State of Iraq (ISI) showing fighters marching and training at the "Sheikh Abu Ibrahim" camp and carrying out operations. 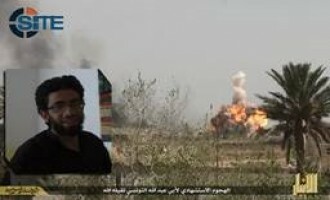 The al-Qaeda-affiliated Islamic State of Iraq (ISI) claimed 49 attacks in Anbar province of western Iraq between January 13 and February 10, 2013, including the suicide bombing that killed Iraqi MP Ifan Sa'doun al-Issawi. The al-Qaeda-affiliated Islamic State of Iraq (ISI) claimed responsibility for the wave of bombings in the Iraqi capital, Baghdad, on the tenth anniversary of the US-led invasion of Iraq, declaring that it came as the “first rain” in its revenge operations for Sunni detainees. The al-Qaeda-affiliated Islamic State of Iraq (ISI) claimed three suicide bombings and a suicide raid involving Iranian, Iraqi, Libyan, Saudi and Tunisian fighters in Iraq's Kirkuk province, hitting a Shi'ite temple and Kurdish party buildings. 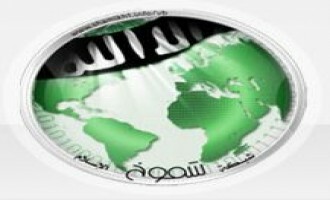 The al-Qaeda-affiliated Islamic State of Iraq (ISI) claimed responsibility for the deadly raid at the Iraqi Ministry of Justice in the capital, Baghdad, on March 14, 2013. The al-Qaeda-affiliated Islamic State of Iraq (ISI) claimed responsibility for the deadly attack on Iraqi and Syrian forces in Anbar province of Iraq on March 4, 2013. Several hours after announcing it will now release publications by the al-I'tisaam Media Foundation of the al-Qaeda-affiliated Islamic State of Iraq (ISI), the Global Islamic Media Front (GIMF) released its first video, showing mortar strikes by ISI fighters. 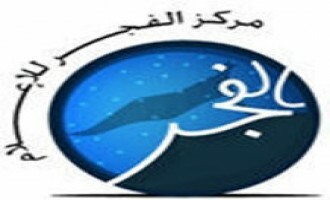 The Global Islamic Media Front (GIMF) announced that it will now release publications by a media division of the al-Qaeda-affiliated Islamic State of Iraq (ISI) called the “al-I’tisaam Foundation”. A jihadist distributed two pictures showing alleged fighters from the al-Qaeda-affiliated Islamic State of Iraq (ISI) giving words of support to women involved in the sit-in protest outside the Bureau of Investigation and Prosecution in Buraidah, Saudi Arabia. The al-Qaeda-affiliated Islamic State of Iraq (ISI) claimed responsibility for the wave of bombings in Shi’ite neighborhoods of Baghdad on February 17, 2013, and declared it came in revenge for alleged criminal acts by the Shi’ite-led government in Sunnis areas of the capital. 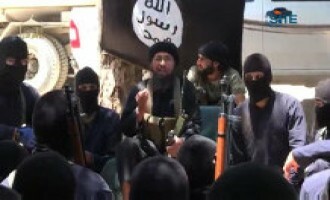 The al-Qaeda-affiliated Islamic State of Iraq (ISI) released a speech from its spokesman, Abu Muhammad al-'Adnani, explaining to Sunni protestors seven "facts" about the Shi'ite-led Iraqi government and Sunni politicians, and urging them to take up arms. The al-Qaeda-affiliated Islamic State of Iraq (ISI) claimed responsibility for the suicide bombing that killed Iraqi MP Ifan Sa'doun al-Issawi on January 15, 2013, and additionally claimed credit for other strikes in Anbar province and a "third wave" of attacks throughout the country. In the second half of the Islamic State of Iraq's (ISI) two-part video on operations within its "Destroying the Walls" offensive, the al-Qaeda-affiliate featured Tasfirat prison escapees explaining how they broke out of the jail, and showed a suicide bombing in Mosul in revenge for a slain escapee. The al-Qaeda-affiliated Islamic State of Iraq (ISI) released a video focusing on operations within its "Destroying the Walls" offensive and featuring speeches from some of those fighters who escaped from Tasfirat prison in Tikrit in September 2012. The al-Qaeda-affiliated Islamic State of Iraq (ISI) claimed responsibility for a wave of attacks across the country that targeted Iraqi officials and security forces, and declared it an act of revenge for imprisoned Sunni women. The al-Qaeda-affiliated Islamic State of Iraq (ISI) denied reports that Iraq's counter-terrorism unit arrested its leader, Abu Bakr al-Baghdadi, and declared that fighters are prepared to sacrifice themselves to protect him. In reaction to reports on December 2, 2012, that Iraq's counter-terrorism unit arrested Abu Bakr al-Baghdadi, the leader of the al-Qaeda-affiliated Islamic State of Iraq (ISI), jihadists expressed skepticism and comforted each other that jihad is not dependent upon one man. An administrator for the Shumukh al-Islam Network again posted an "exclusive" picture from the al-Qaeda-affiliated Islamic State of Iraq (ISI), this time showing a fighter pointing a silenced pistol at a driver side window of a truck. The al-Qaeda-affiliated Islamic State of Iraq (ISI) claimed responsibility for the September 18, 2012, suicide raid at a police headquarters in the area of Hibhib in Diyala province of Iraq, and also claimed an additional 36 attacks in Diyala between September 17 and October 16. 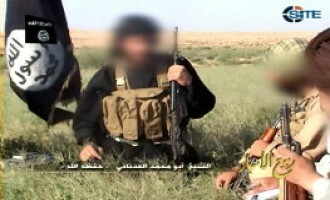 An administrator for the Shumukh al-Islam Network posted a series of 32 "exclusive" pictures of fighters in the al-Qaeda-affiliated Islamic State of Iraq (ISI), including some of those who escaped from Tasfirat prison in Tikrit on September 27, 2012. Jihadists identifying themselves "supporters of jihad in the Islamic State of Iraq" launched a media group to support the al-Qaeda-affiliate and fighters in general, calling it "al-Battar Foundation for Media Production." 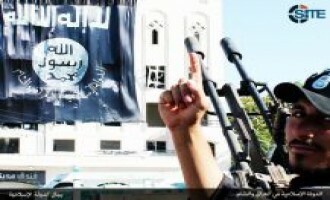 Abu Muhammad al-'Adnani, the spokesman of the al-Qaeda-affiliated Islamic State of Iraq (ISI), announced the results of the group's "Destroying the Walls" campaign during the month of Ramadan, claiming 667 operations killing and wounding thousands. The al-Qaeda-affiliated Islamic State of Iraq (ISI) claimed responsibility for the bombings and other attacks that occurred in the Iraqi capital, Baghdad, during Eid al-Adha, the Festival of Sacrifice. The al-Qaeda-affiliated Islamic State of Iraq (ISI) offered its condolences to Muslims for the killing of Hisham al-Su'aydani and Ashraf Sabah, two militant leaders in Gaza. The al-Qaeda-affiliated Islamic State of Iraq (ISI) claimed responsibility for the September 27, 2012, jailbreak at Tasfirat prison in Tikrit in which 102 prisoners escaped. The al-Qaeda-affiliated Islamic State of Iraq (ISI) issued a communiqué claiming 34 operations in several districts of Baghdad province between August 24 and September 17, 2012, including those within its campaign to avenge prisoner executions. The al-Qaeda-affiliated Islamic State of Iraq (ISI) claimed responsibility for the wave of bombing attacks in Baghdad and other Iraqi provinces on September 30, 2012. The al-Qaeda-affiliated Islamic State of Iraq (ISI) claimed two large-scale bombing operations against Iraqi security forces in northern Baghdad, one involving gunmen and four car bombs on August 1, 2012, and the second with three car bombs and a suicide bomber on July 23. 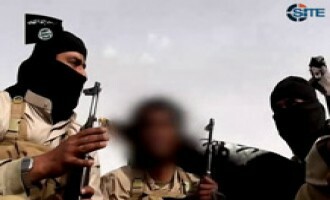 The al-Qaeda-affiliated Islamic State of Iraq (ISI) offered its condolences to the family of Abu Yahya al-Libi, and al-Qaeda and Muslims, after al-Qaeda confirmed his death as a result of a drone strike in Mir Ali, North Waziristan, in June 2012. The al-Qaeda-affiliated Islamic State of Iraq (ISI) declared that its recent wave of attacks in Iraq is the fulfillment of its threat to make the Iraqi government "pay dearly" if it did not stop carrying out death sentences on Sunni prisoners. 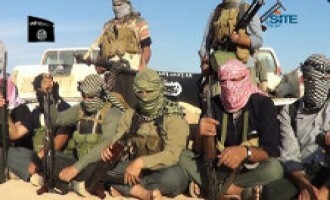 The al-Qaeda-affiliated Islamic State of Iraq (ISI) claimed that its fighters killed 26 Iraqi security elements in a clash on July 25, 2012, in the al-Hadid area of Diyala province. 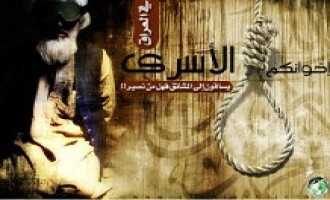 Directing a message to the al-Qaeda-affiliated Islamic State of Iraq (ISI), a jihadist recommended that they kidnap Shi'ite civilians and threaten to execute them if the Iraqi government does not stop executing Sunni prisoners on death row. The al-Qaeda-affiliated Islamic State of Iraq (ISI) threatened to make the Iraqi government "pay dearly" if it continues to carry out death sentences on Sunnis held in its prisons. The al-Qaeda-affiliated Islamic State of Iraq (ISI) released a report listing 47 attacks its fighters carried out in Diyala province of Iraq from June 21-July 18, 2012. 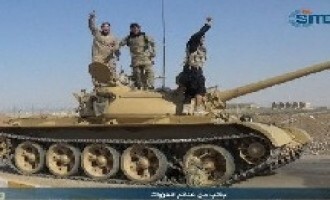 The al-Qaeda-affiliated Islamic State of Iraq (ISI) released a report of operations its fighters carried out in Anbar province of western Iraq between June 21 and July 19, 2012. The al-Qaeda-affiliated Islamic State of Iraq (ISI) congratulated Muslims for the occasion of Eid al-Fitr, which marks the end of the holy month of Ramadan, and in particular, addressed those who are deployed in the jihadi battlefields. The al-Qaeda-affiliated Islamic State of Iraq (ISI) released a video focusing on its 90-man raid in the city of Haditha in Anbar province that occurred on March 5, 2012, and resulted in the deaths of two senior Iraqi police officers and dozens of policemen. The al-Qaeda-affiliated Islamic State of Iraq (ISI) claimed responsibility for the July 31, 2012, raid at an anti-terror police unit in Karrada district of the Iraqi capital, Baghdad, and reported the killing of more than 70 security officers. The al-Qaeda-affiliated Islamic State of Iraq (ISI) reported that it has begun the new military campaign announced by its leader, Abu Bakr al-Baghdadi, in his recent message, by launching a wave of attacks against government and security targets. The al-Qaeda-affiliated Islamic State of Iraq (ISI) released an audio speech from its leader, Abu Bakr al-Baghdadi, championing the group's mission and calling for support for jihad. The al-Qaeda-affiliated Islamic State of Iraq (ISI) issued a report of 47 attacks its fighters carried out in various areas of southern Iraq, including bombings against Shi'ite targets that came within its "Wednesday invasion" on June 13, 2012. ISI Gives Report of 40 Attacks in Baghdad, Including "Wednesday Invasion"
The al-Qaeda-affiliated Islamic State of Iraq (ISI) issued a report of 40 attacks carried out by its "security detachments" in Baghdad province between May 22 and June 17, 2012, including bombings that came within its "Wednesday invasion" on June 13, 2012. 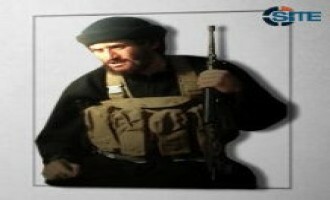 A jihadist distributed an unreleased audio speech by Abu Muhammad al-'Adnani, the spokesman of the al-Qaeda-affiliated Islamic State of Iraq (ISI), rallying fighters in Diyala province of Iraq for jihad. ISI Releases First Episode in New Series, "Clanging of the Swords"
The al-Qaeda-affiliated Islamic State of Iraq (ISI) released the first episode in a new video series it calls "Clanging of the Swords," showing in it several attacks against enemy forces as well as speeches inciting against Shi'ites and urging Awakening Council members to repent. The al-Qaeda-affiliated Islamic State of Iraq (ISI) claimed responsibility for the wave of bombings throughout Iraqi cities including the capital, Baghdad, on June 13, 2012. The al-Qaeda-affiliated Islamic State of Iraq (ISI) claimed responsibility for the suicide bombing at a Shi’ite endowment’s headquarters in central Baghdad on June 4, 2012. Abu Muhammad al-'Adnani, the official spokesman of the al-Qaeda-affiliated Islamic State of Iraq (ISI), defended the group's reputation against portrayals of being blood-thirsty murders who kill innocent Muslims, and invited Sunni Iraqis to repent for supporting the enemy. Al-Minbar Media Foundation released a collection of pictures from a raid reportedly carried out by the al-Qaeda-affiliated Islamic State of Iraq (ISI) in the Iraqi capital, Baghdad. The al-Qaeda-affiliated Islamic State of Iraq (ISI) claimed responsibility for a wave of attacks across in Iraq on April 19, 2012, and dubbed them its second "Thursday Invasion." The al-Qaeda-affiliated Islamic State of Iraq (ISI) warned Britain about the consequences of extraditing Abu Qatada al-Filistini to Jordan, and claimed responsibility for a prison break in Kirkuk in which 19 fighters escaped. 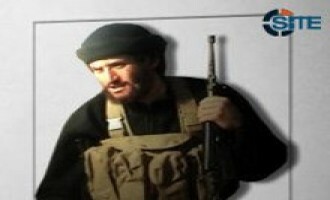 The al-Qaeda-affiliated Islamic State of Iraq (ISI) responded to allegations raised in a recent al-Arabiya broadcast about the exposure of its officials in Anbar province as well as its spokesman, Abu Muhammad al-'Adnani. The al-Qaeda-affiliated Islamic State of Iraq claimed a wave of attacks in Iraq to target the security plan announced by the Iraqi government for the coming Arab League summit in the capital, Baghdad. 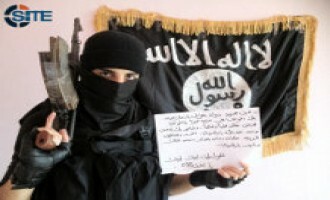 The al-Qaeda-affiliated Islamic State of Iraq (ISI) claimed responsibility for the February 19, 2012, suicide bombing in front a police academy in the Iraqi capital, Baghdad. 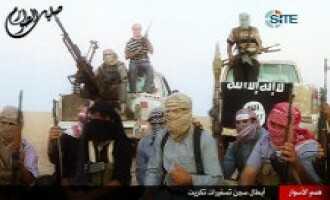 The al-Qaeda-affiliated Islamic State of Iraq (ISI) claimed responsibility for the large-scale raid in the city of Haditha in Anbar province of Iraq on March 5, 2012, that resulted in the deaths and injuries of dozens of Iraqi policemen and two senior Iraqi police officers. 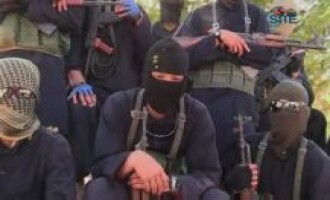 The al-Qaeda-affiliated Islamic State of Iraq (ISI) reported on the activities of its fighters and "security detachments" in Baghdad province of Iraq, including the release of prisoners from a detainment facility in Saidiya, and the killing of a Shi'ite real estate agent and then the bombing of his funeral procession. Abu Muhammad al-'Adnani, the official spokesman of the al-Qaeda-affiliated Islamic State of Iraq (ISI), urged Iraqi Sunnis to recognize the alleged danger posed to them by Shi'ites, and asked that they support its fighters against them. As part of its continued support to Sunni Muslim prisoners held Iraqi prisons, the al-Qaeda-affiliated Islamic State of Iraq (ISI) announced a new military campaign that has already been implemented and has struck Iraqi officials and military headquarters. The al-Qaeda-affiliated Islamic State of Iraq (ISI) claimed the assassination of an Awakening Council official and denied the arrest of its Media Minister in two communiqués issued on jihadist forums on February 6, 2012. The al-Qaeda-affiliated Islamic State of Iraq (ISI) claimed the suicide raid against a police building in the city of al-Ramadi in Anbar province of Iraq that occurred on January 15, 2012. A jihadist announced that a forum member and fighter in the al-Qaeda-affiliated Islamic State of Iraq (ISI) was killed during an operation against Iraqi security forces. The al-Qaeda-affiliated Islamic State of Iraq (ISI) released an audio speech from its spokesman, Abu Muhammad al-'Adnani, declaring victory against the United States in Iraq and announcing its focus on the Shi'ite-led Iraqi government.